Week after week everyone is amazed at what the Alphonse Island fishery has to offer every single day. This week was by no means an exception, with some of the best weather of the season the guests where spoilt with picture postcard conditions. With a full moon in the middle of the week, as the days progressed the tides started making themselves known. Warm water for the first few days was a late afternoon battle, but the vast movement of water in the last few days cooled everything down and made for some great fishing. 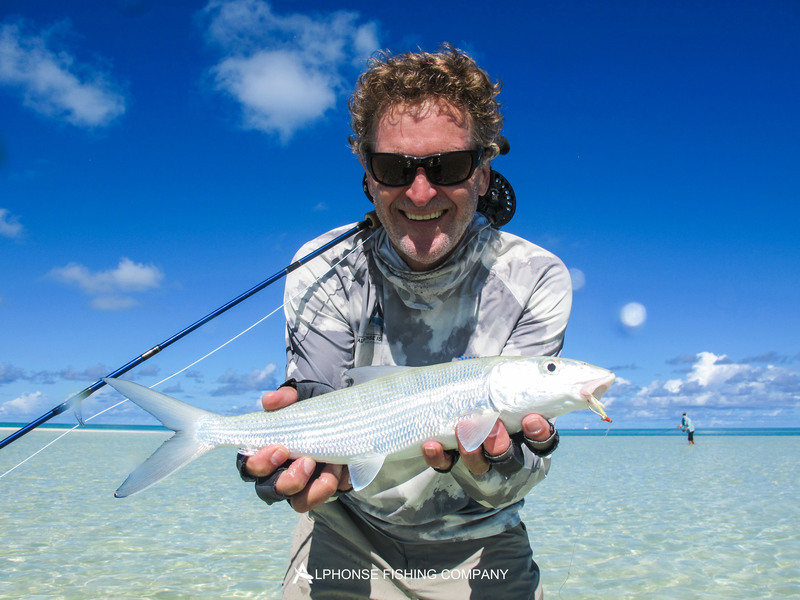 As usual the bone fishing was very good, with returning guests and some new faces everyone generally likes to kick their week off with a good bonefish Sunday session. 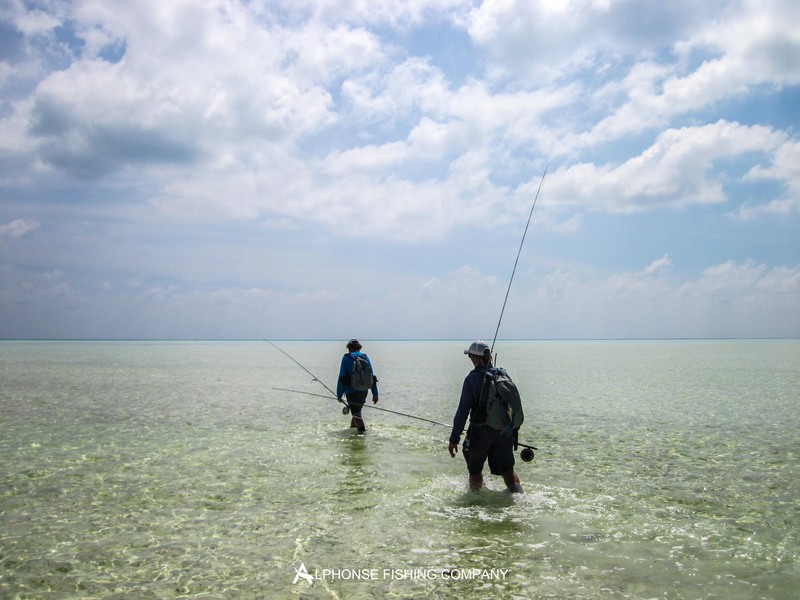 With the tides being perfect for trigger fishing on the finger flats, most of the guests ticked the bonefish box straight off the bat and headed right onto the tricky triggers. 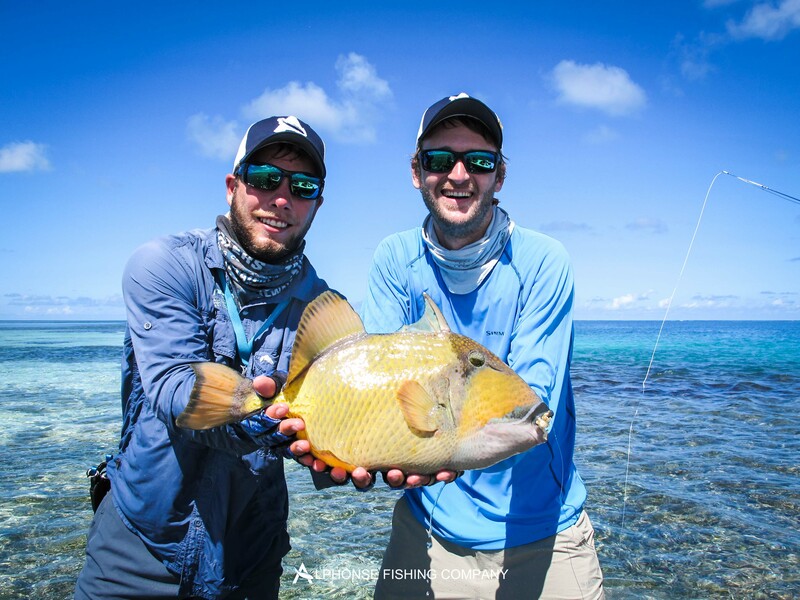 Fortunately these guys were more than willing to oblige as six fish were landed on the first day with Jay Smit managing to bring two gorgeous Yellow-margin triggerfish to hand in quick succession. His boat partner Steve Brooks wasn’t far behind with his big Yellow-margin. Next to join the bell ringer list was Charles Berry with a Moustache and following suite was Chantal Chone also with a Moustache triggerfish. Chantal completed a ‘Flats Slam’ for the day by bagging a good 70cm GT late in the afternoon to seal the deal. Chantal’s boat partner Gerrit Wyma also managed a huge Moustache earlier in the day. After a great first day everyone’s hopes were high for a continuation of the fishing for the rest of the week. 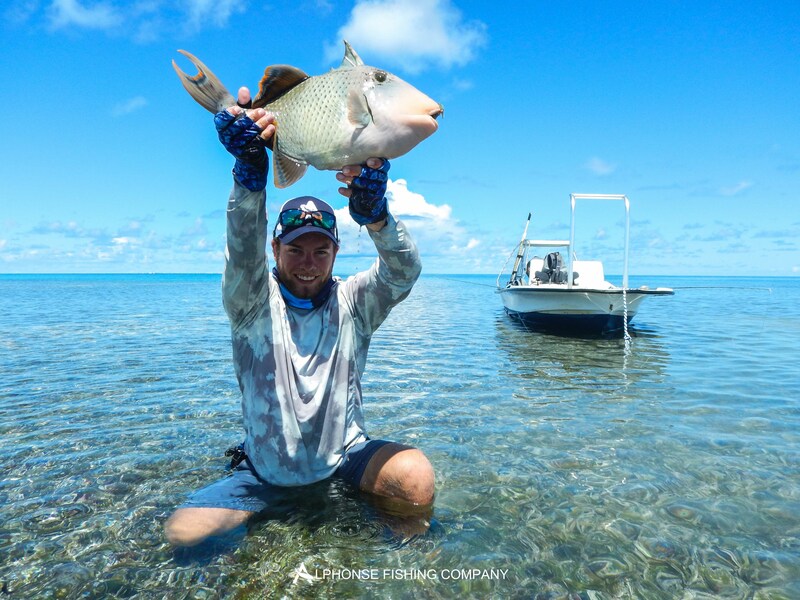 The triggerfish continued to make a presence, with father and son Philip and Roelof Van Rooyen both getting their triggerfish addiction soothed by two gorgeous fish. 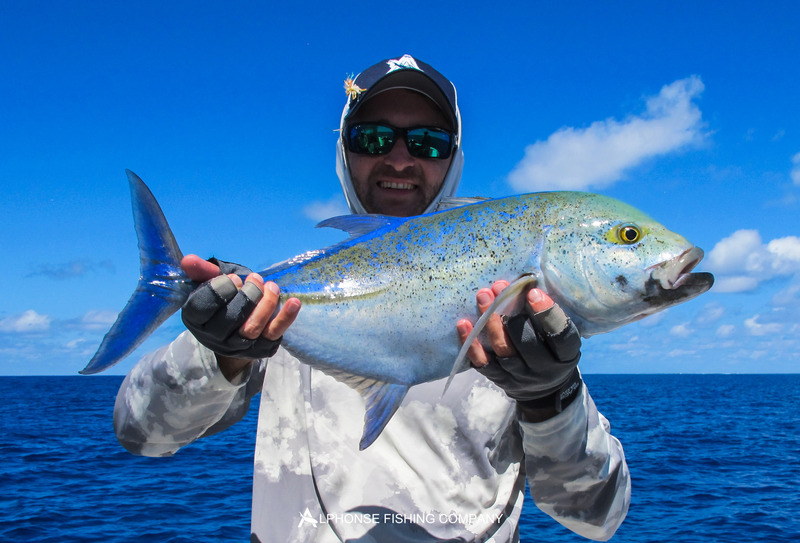 Chris Hale completed the second ‘Flats Slam’ of the week with a great Yellow-margin. Chris also went on to get a Moustache later in the week. 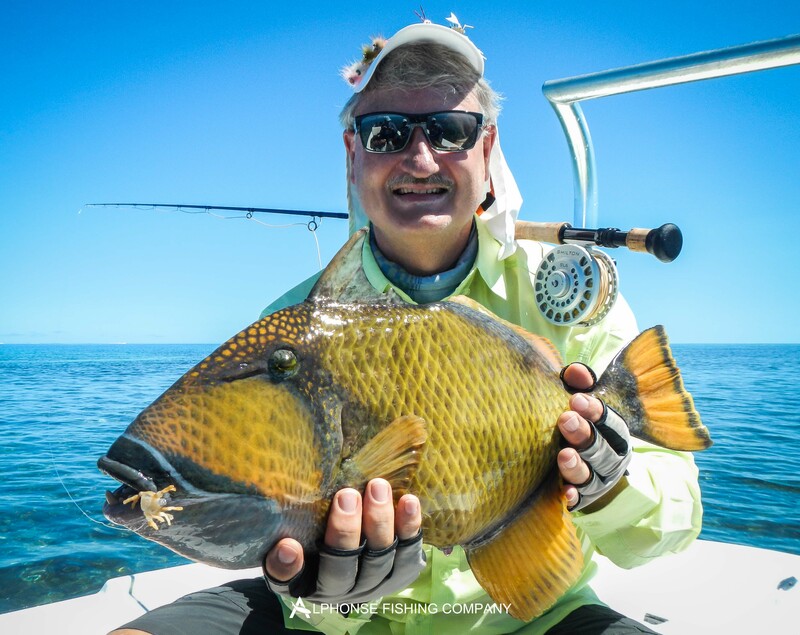 John Dale, a long returning guest managed a Moustache triggerfish and a great 7 ½ pound bonefish. 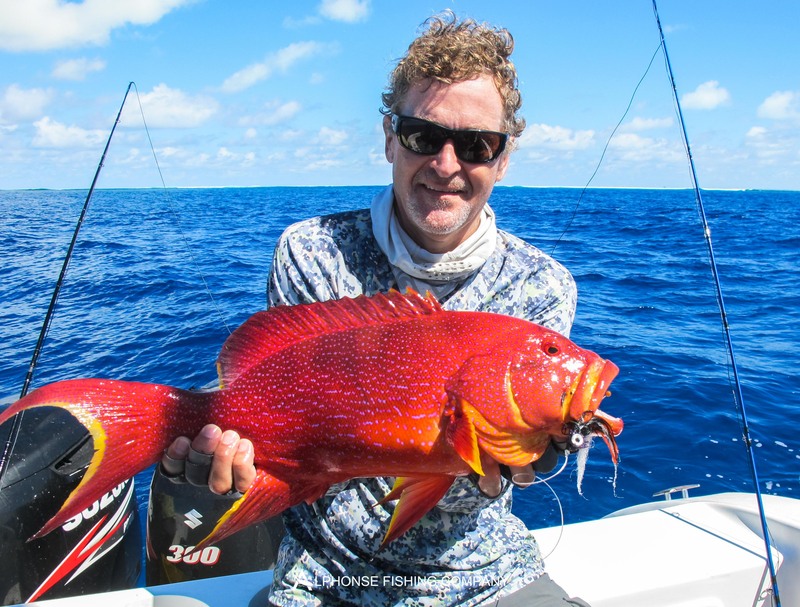 Jan Hradecky was not to be left out by landing two triggerfish one Yellow-margin and one Moustache. 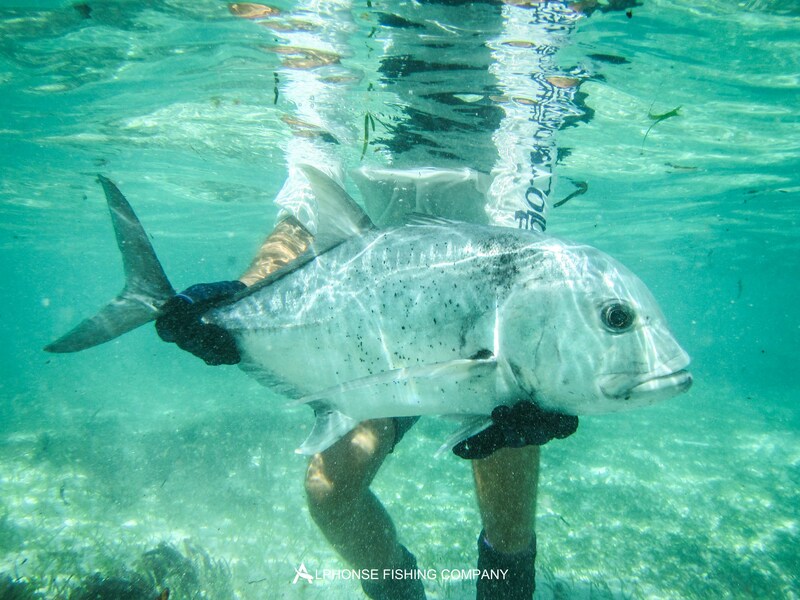 Besides the triggerfish being fantastic the Milkfish and GTs were showing themselves every now and then. Roelof did battle with a Milkfish for almost an hour before having to watch the fish swim away. 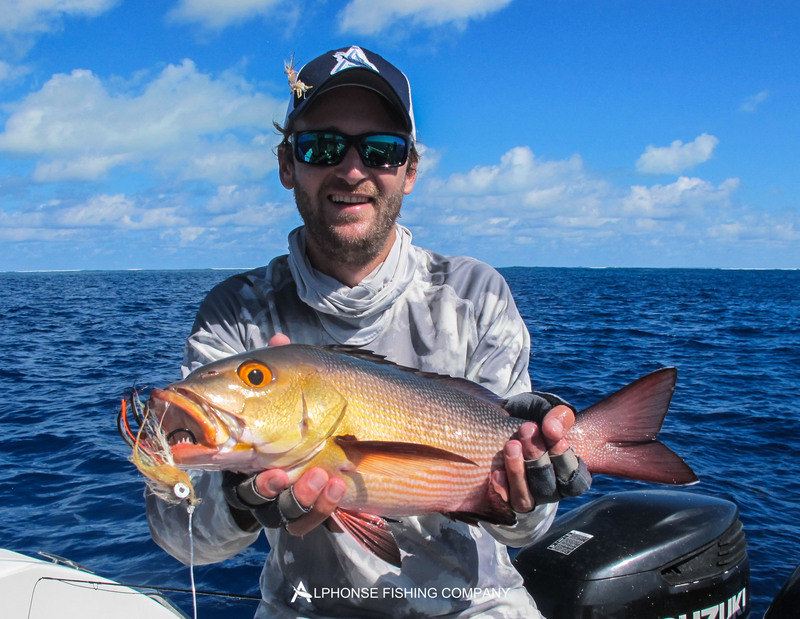 Chris Hale however really made his GT opportunities count; he picked a fight with a 111cm GT on the flats in super shallow water and won. A beautiful fish and a great achievement. This was obviously not enough for Chris and he managed another fish of 75cm later in the day. 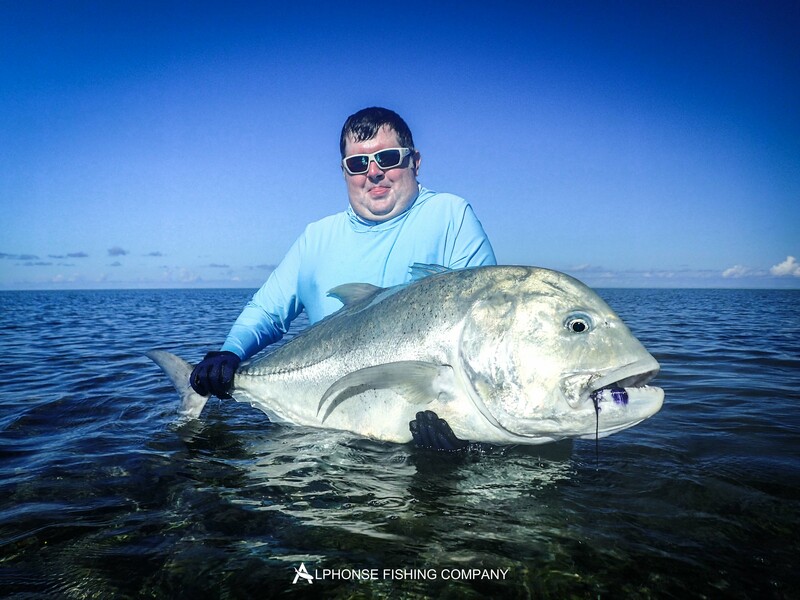 When great fishing and great company come together in a spectacular place like Alphonse it is truly amazing. 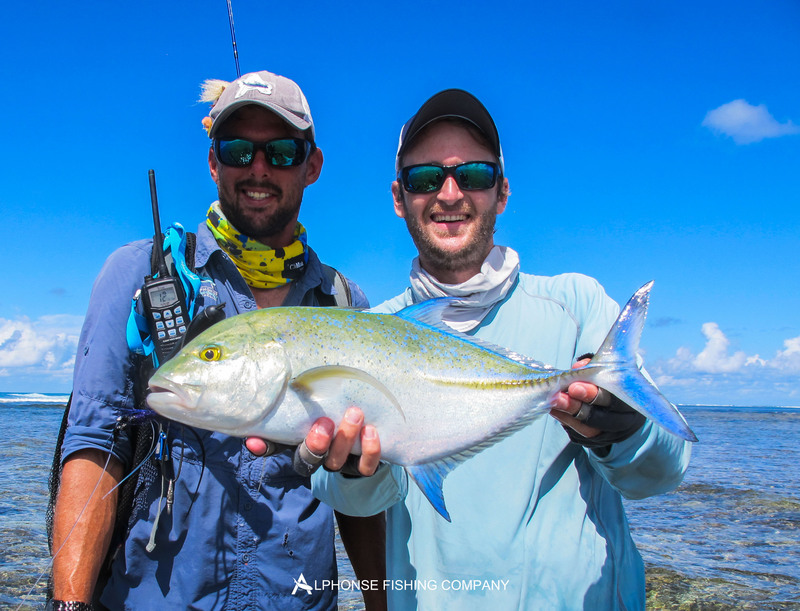 With one of the best weather weeks this whole season and some awesome fishing on the flats it was another memorable week of flats fishing around St Francois Atoll.